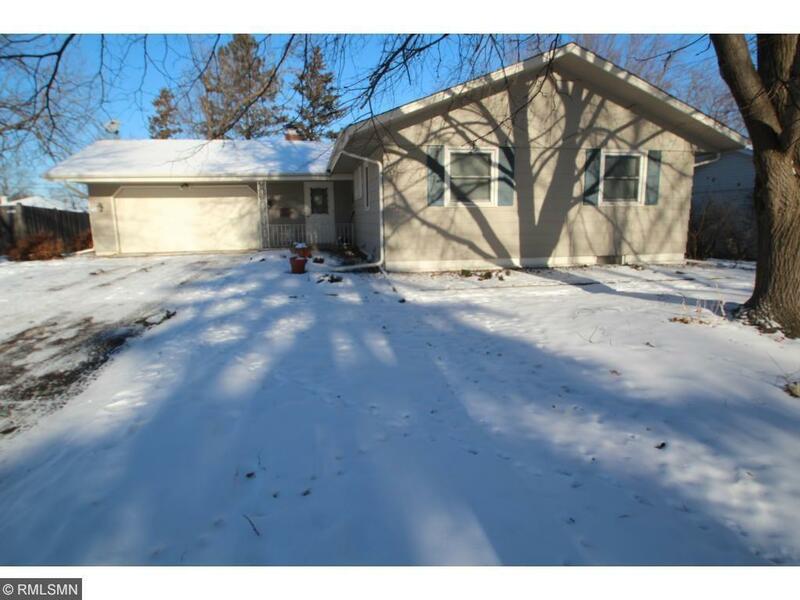 Well kept rambler in desirable location; the friendly Royal Oak Hills neighborhood of New Hope. 3 BR's on main floor. 2 fireplaces; one in main level LR and one in lower level FR. Hardwood floor in LR. Eat in kitchen. Formal dining room walks out to the deck. Backyard is fenced and both the front and backyards have mature trees. 2 blocks from the elementary school, close to a local place of worship and Hidden Valley Park. Easy access to 169 for a quick commute.